I just got a confirmation call from our dear friend Margaret Kerry saying she is looking forward to attending the Our Gang Reunion at the Laurel and Hardwood International Sons Convention Friday, the Fourth of July. And what better guest to have than Margaret! 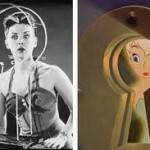 Disney fans already know the name because she was the live model for Disney’s iconic Tinker Bell. Remember the Wonderful World of Color? It’s Tinker Bell’s little wand that sets off the fireworks. As child actress Peggy Lynch, she appeared in a handful of Hal Roach Our Gang films. 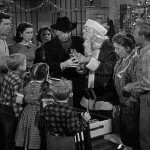 It was Eddie Cantor who suggested she change her name during the filming of “If You Knew Susie” — thus Margaret Kerry was “born.” She starred in the TV show “The Ruggles” and appeared in two episodes of the “Andy Griffith Show.” As a voice-over artist, she provided talent for “Clutch Cargo” and “Three Stooges” cartoons. If you’d like to know more about her, check out her website at www.Tinkerbelltalks.com and wish her a happy birthday as she turned 85 years young on Mother’s Day. Again, although Margaret has attended numerous Way Out West events, this will mark her first international convention of the Sons!